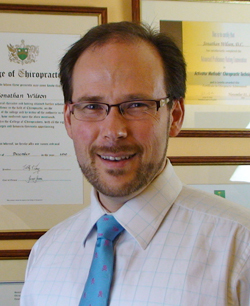 Dr Jonathan Wilson (Doctor of Chiropractic & Fellow of the Royal College of Chiropractors) grew up in a medical family; his father was a general practitioner and his mother was a nurse. “When I was young health seemed to be about not having symptoms – not being sick. 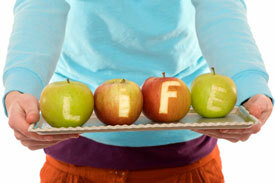 I knew plenty of people who exercised a lot and ate healthy food but for us it was a case of being free from symptoms. I have learnt that most people look for a chiropractor in Norwich when their bodies have not been able to heal from injury. “I have learnt that this open question tells me more about a client and how to approach care than any other. Most people I meet have not been able to find found the solutions they seek from their health team.””How can I help clients? How can I make health fun? Easy, make chiropractic ‘inspired,’ Inspired Chiropractic.” At Inspired Chiropractic we will help you to find answers. People often ask me what I love about my work. The answer is that I give people hope. Our clients usually come because they have had a personal recommendation from a family member or friend, and they always have their story. These personal stories hold the key to why they have not found the answers that they seek and show me the approach that will best suit them. I use the time practiced techniques of chiropractic to take them along a path to recovery, to a place where we can start to work to bring about better performance from their body and on toward a place where they thrive and experience health as it was intended. It’s not magic, just science explained simply and taken one step at a time, individually for each person. As a fourteen year old, I underwent painful and extensive surgery. I remember sitting with my parents in the surgeon’s office and listening as my impending surgery was discussed. There were aspects of the procedure which didn’t make sense to me, and when I asked the surgeon about this he paused and looked at me. Whether the pause was for effect, or for thought, I’ll never know but it served only to highlight his subsequent laughter. He concluded by saying, “Son, I have been doing this for years.” He may well have performed such surgery many times, but this was my first experience; my growth plates were crushed and I remain decades later with the scars, muscle wastage, joint fusion and numbness. I am thankful that I am not in constant pain, but then I wasn’t before. I have found that chiropractic care looked at me as a whole, releasing my nervous system to allow me to function to my best. The aim was to free my body to thrive, to be interactive with its environment and to allow the innate, inbuilt mechanisms to work to their best. I have seen my own body flourish and come alive with chiropractic care. As I experienced these powerful personal changes I knew that I wanted to be a chiropractor and help others to experience these changes for themselves. How the Body Works; the anatomy, the physiology, the biology and unfortunately the pathology. The Chiropractic Approach; the application of “How the Body Works” into the real world. To find the correct approach to restore the body to being able to work when the normal pathways of the body are blocked, toned down or damaged in some way. We call this ‘Chiropractic Philosophy’, seeing the world with an attitude where optimum function is the key to proper function. 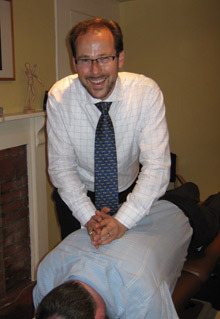 The Physical Skills of Practice; Most chiropractors use audible manipulative techniques, but there are many others. I am highly trained in many techniques including low force techniques and nerve reflex techniques; all techniques have their own names (see technique page for details). It takes many years of practice to apply the correct technique at the right time to attain the best results. I studied chiropractic in Sydney, the Anatomy and Physiology at the University of New South Wales and Chiropractic Philosophy and Chiropractic Practice at Macquarie University. This degree and post graduate degree have given me a unique understanding of the Science, Philosophy and Art of Chiropractic. The most powerful influences have been the colleagues, friends and mentors who have shown me that each client has a unique and individual journey that has brought them to us. Often these clients have been looked at as a series of parts; rarely have they been focused on as one whole organism, whose parts interact in amazing and balanced ways. This is the most important aspect of care. We are a mirror of our experiences, a physical demonstration of our choices and a reflection of our environment. As a qualified life coach I understand that each person needs a unique approach to care, guidance to progress and an encouragement to be the best that they can be. As our profession continually grows and changes we are beginning to see that those who participate in their care achieve a new level of results that we couldn’t have dreamed of before; they are literally redefining their world as we redefine the response their body has to the new world they live in. They are an integral part of their recovery and journey to better health – they are ‘clients’. They come with pain, find resolution to their symptoms and often understand that they can live in a place that is not just pain free, but a place where their body thrives and radiates with life. Let us help you to experience life in this place. I choose to live in a world that mirrors as closely as possible the one I was designed to live in. This includes exercise, diet and rest. We practice these areas as the physical, chemical and psychological aspects of life. As a result I workout regularly, eat food designed to power my body and that comes from natural sources where possible, and have designed a life balance that recognises the competing need to work hard yet to have recreation and rest. In short, I work to restore balance to your life and to reduce the effect that a damaged lifestyle has on your health, body function and aging. Twice a week I am checked for interference to my nervous system and have the necessary chiropractic adjustments. Chiropractic care is powerful in my life personally. Enough about me! How can we help you with today’s safe and natural chiropractic care? Please call so that we can help you to take your first step towards better health.